A selection - excuse formatting. Cummings, V. 2012. What lies beneath: Thinking about the qualities and essences of stone and wood in the chambered tomb architecture of Neolithic Britain and Ireland. Journal of Social Archaeology 12, 29-50. Cummings, V. and Harris, O. 2011. Animals, people and places: the continuity of hunting and gathering practices across the Mesolithic-Neolithic transition in Britain. European Journal of Archaeology 14:3, 361-82. Cummings, V. 2011. Scale and senses of belonging: thinking about regionality in the Neolithic of the Irish Sea zone. In A. Jones and G. Kirkham (eds), Beyond the core: reflections on regionality in prehistory, 33-40. Oxford: Oxbow. Cummings, V. 2011. A view from the outside: some thoughts on the research priorities for Mesolithic and Neolithic lithic studies in Britain and Ireland. Lithics 31, 68-77. Cummings, V. 2010. Formalising the sacred ? The late Mesolithic and early Neolithic monumental landscapes of Britain and Ireland. In G. Warren and B. Finlayson (eds), Landscapes in transition: understanding hunter-gatherer and farming landscapes in the early Holocene of Europe and the Levant. Amman: Council for British Research in the Levant. Cummings, V. 2009. Monuments at the centre of the world: exploring regional diversity in south-west Wales and south-west Scotland. In K. Brophy and G. Barclay (eds), Regional diversity in the Neolithic of Britain and Ireland. Oxford: Oxbow. Cummings, V. 2008. The architecture of monuments. In J. Pollard (ed. ), Prehistoric Britain. Oxford: Blackwell. TITLE: Cummings, V. 2007. From midden to megalith ? The Mesolithic/Neolithic transition in western Britain. In A. Whittle and V. Cummings (eds), Going over: the Mesolithic-Neolithic transition in NW Europe. London: British Academy. TITLE: Cummings, V. and Whittle, A. 2005. Pentre Ifan: east or west? The origins of monumentality in Wales and western Britain. In G. Marchand and A. Tresset (eds), Unité et diversité des processus de néolithisation sur la façade atlantique de l'Europe. Bulletin de la Société Préhistorique Française. TITLE: Cummings, V. 2002b. Experiencing texture and touch in the British Neolithic. Oxford Journal of Archaeology 21:3, 249-61. TITLE: Cummings, V., Jones, A. and Watson, A. 2002. In between places: axial symmetry and divided space in the monuments of the Black Mountains, south-east Wales. Cambridge Archaeological Journal 12:1, 57-70. TITLE: From cairn to cemetery: an archaeological investigation of the chambered cairns and early Bronze Age mortuary deposits at Cairnderry and Bargrennan White Cairn, south-west Scotland. With Chris Fowler. Where the missing Sarsens went? 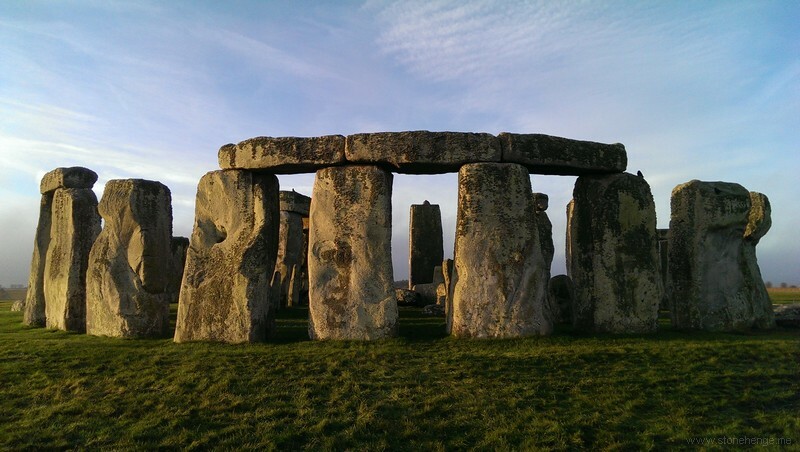 The Stones of Stonehenge - The Guide.